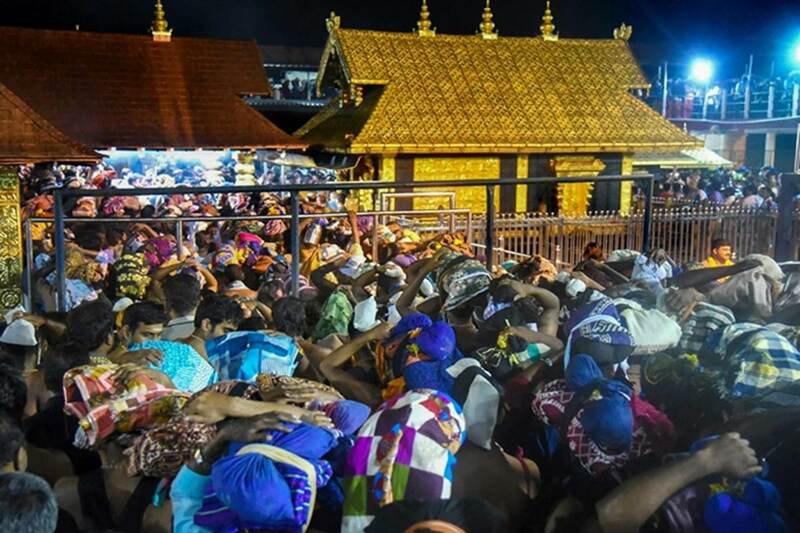 A Sri Lankan under 50 years of age attempted to enter the Sabarimala Temple early Frdiday morning and said that she has reached menopause. Many devotees have been vehemently against the entry of women between the ages of 10 and 50 – the menstruating age when women are considered ímpure by them – even though the Supreme Court previously ruled no one can be barred. The Sri Lankan woman, according to news agency ANI, managed to enter the temple and pray despite being under 50 although she said that she had informed cops that she had reached menopause – the stage where a woman’s menstrual cycle ends permanently.